At Locksmith Hollywood, no job is too tough for us to handle! Do you want to finally relax knowing the locks on your home are protecting you and your loved ones? Did you lose your chipped car key? Are you locked out of your home, vehicle or business? Don’t waste any more time! 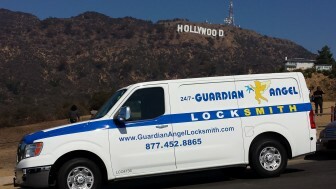 Contact Locksmith Hollywood and we’ll get right to work! Our competitive rates will blow you away, working with any budget. We provide a comprehensive menu of locksmith solutions for vehicles, homes, and businesses. Emergencies can be really stressful, but with a 20-minute response time and 24/7 availability Locksmith Hollywood has the best and most reliable Emergency Services and Lockout Auto service. Our professional emergency service locksmiths are highly trained for this purpose so that they can deliver the most efficient service to you. Our team has the skills to assist you through any situation, unlock any lock or recover passwords for complicated password-protected locks, file cabinet locks, high security locks and lock change. Our emergency services experts can also quickly fix all your keyless entry system, Access Control Systems, Alarm system, Intercom system and the Extraction of broken keys. We have the precision and skills when it comes to resolving emergencies like emergency trunk opening, vehicle opening and the replacement of your entire security systems. Our team is prepared with the most high tech equipment and are always ready for your rescue whenever you call.